A license key and instructions will be emailed to you immediately after your payment is cleared. The Personal Edition is $39 and may be installed on a single personal computer. The Multi-PC Plan is $59, allowing you to install SensiGuard on up to 4 personal computers—ideal for families or small businesses. 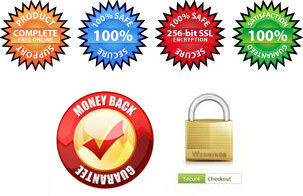 A Business License is $99 and allows you to install SensiGuard on up to 10 PC’s. To purchase more than 10 licenses, please contact us for pricing. Choose your license type at checkout. Prices shown in US Dollars. Specify your local currency at check-out. Any sales tax or value added tax (VAT) that may apply will be added at check-out. Secure Online Ordering Pay by credit card, check or money order. Personal, Multi-PC and Business Licenses Download and use instantly. Buy Now! Pay with PayPal Select PayPal at the bottom of the order page. Personal, Multi-PC and Business Licenses Download and use instantly. Buy Now!